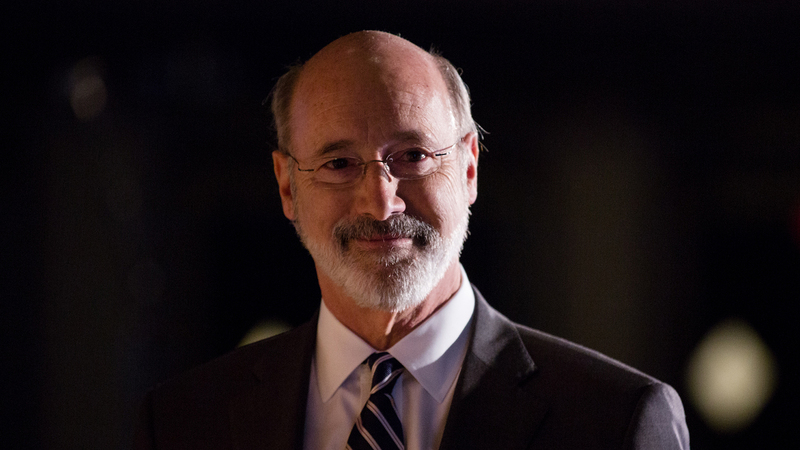 Governor Wolf is a strong supporter of SB 613, the Pennsylvania Fairness Act. The bipartisan measure, first introduced in the Pennsylvania General Assembly in 2015, would update the state's non-discrimination law to explicitly include protections for LGBTQ people from discrimination at work, in housing and in public places. Dozens of Pennsylvania municipalities have passed separate ordinances to prohibit discrimination on the basis of sexual orientation and gender identity, including Pittsburgh, Lancaster and Philadelphia. Governor Wolf has also used his office to advance equality through executive orders prohibiting discrimination against LGBTQ people within state government and among its contractors and grantees. He is a long-time supporter of marriage equality; safer schools; improving access to care for LGBTQ people and those living with HIV; and ending the dangerous and debunked practice of so-called “conversion therapy.” Governor Wolf has also appointed several members of the LGBTQ community to key positions within his administration, including the nation’s first transgender state level cabinet appointment, Dr. Rachel Levine, the state’s Secretary of Health and Physician General. In Pennsylvania, HRC has identified more than 2.3 million “Equality Voters” -- voters who support LGBTQ-inclusive policies including marriage equality, equitable family law, and laws that would prohibit discrimination on the basis of sexual orientation or gender identity. HRC has prioritized investments and organizing in Pennsylvania in the 2018 cycle, and has already put four staff members and resources on the ground in the state. Last year, HRC announced a coast-to-coast campaign called HRC Rising, which represents the largest grassroots expansion in the organization’s 38-year history.